Researchers have long known that breast milk delivers healthy benefits to infants, but a new study says the payoff is almost immediate. Premature babies who get more than half their nutrition from breast milk in the first month after birth have better brain development and eventually, higher IQs than other children, a new study has found. Researchers examined records for 180 babies who were born before 30 weeks or at less than 2.76 pounds from 2001-2003. Babies who got more breast milk in the first 28 days after birth had more development in some regions of their brain by the time of their expected birth dates, usually around 39 to 40 weeks. By the time the children reached their seventh birthdays, they showed better IQ, academic achievement, memory and motor function than others who didn’t receive as much breast milk, researchers said. Many mothers of preemies have an especially difficult time breastfeeding, partly because the babies’ feeding ability hasn’t had time to fully develop, said Mandy Brown Belfort, M.D., the study’s lead author and a researcher and physician at Brigham and Women's Hospital in Boston. That’s why hospitals, employers, spouses and others must provide as much help as possible to mothers of preemies so they can put time and energy into expressing their milk when their baby is sick, Dr. Belfort said. Though breast milk is important, Dr. Belfort noted it is just one of many factors that influence a baby’s development. The study was published in The Journal of Pediatrics. It was featured in a CBS News report. Makes the workforce more productive because breastfeeding mothers lose less time from work. Providence offers a range of breastfeeding resources in all its service areas, including six breastfeeding centers in Oregon. 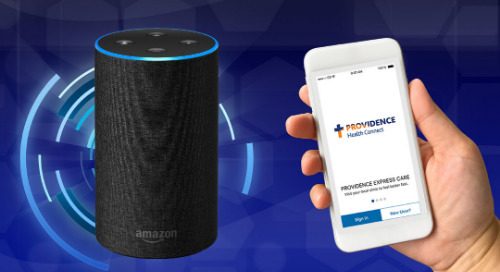 If you’re looking for a health care provider, you can find one in the Providence directory. A new study finds you’re likely to live longer if you get more of your protein from plants.